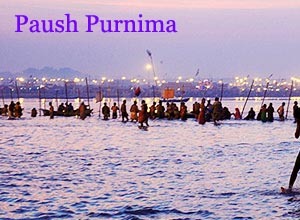 Paush Purnima is celebrated during the Magha month of Hindu calendar. The speciality of this day is to take a dip in any holy water body. Some parts of India celebrate Paush Purnima as Shakambari Purnima.